In a small bowl, use a fork to combine the butter and cashews. Refrigerate at least 1 hour for the flavors to blend. 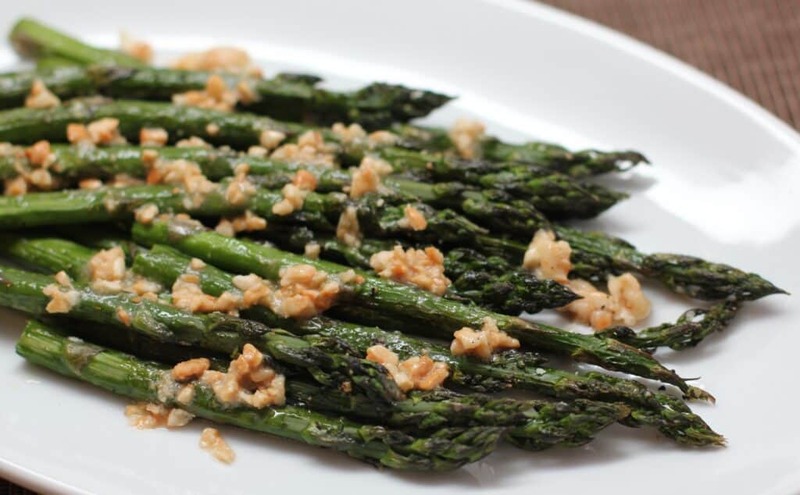 Snap off the tough ends of the asparagus. Put the spears on a baking sheet. Drizzle with olive oil and season with salt and pepper. Toss with your hands, then spread them out in a single layer. Roast in the oven for ~10 minutes until tender. Put the asparagus in a serving dish, then spoon butter over to melt! Serves 4-6.